Dental bonding uses tooth-colored materials to replace missing tooth structure or hide cosmetically unappealing minor defects in a tooth — chips, discoloration, and even minor spacing irregularities. Dental bonding materials are called “composite resins” because they contain a mixture of plastic and glass, which adds strength and translucency. 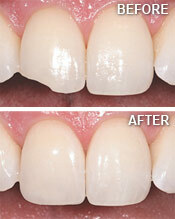 The composite actually bonds, or becomes one, with the rest of the tooth. Composite resins come in a variety of tooth shades for truly lifelike results. When dental bonding is done with a skilled hand and an artistic eye, it may be impossible to distinguish the bonded tooth from its neighbors. Though dental bonding will not last as long as a dental veneer, it also does not require the involvement of a dental laboratory and, most often, can be done without drilling of the tooth. It's a particularly good solution for teens, who often need to wait until their teeth have finished maturing before choosing a more permanent type of dental restoration. 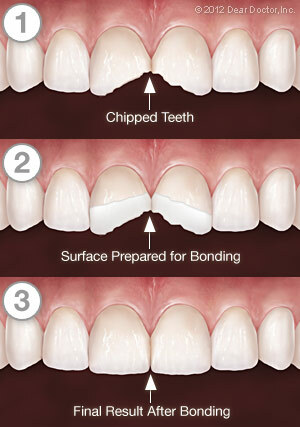 Interested in dental bonding? Call Phillip W. Hart D.D.S. in Bartlett, TN at (901) 386-9299 today!